We will be doing lots of exciting things this year! 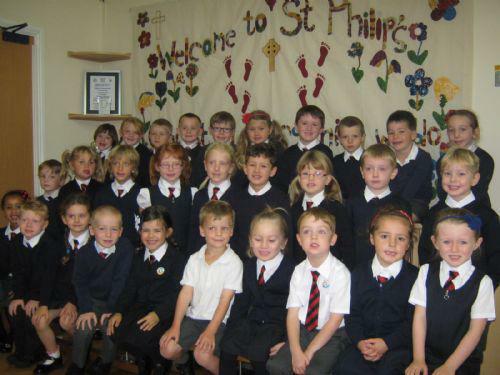 Don't forget to visit our page to find out what we have been learning in class! Our topic this half term is 'Houses'. We will be starting our topic by reading 'A New Home for a Pirate'. PE is on a Wednesday and Friday. Please ensure your child has their full PE kit with them on these days. 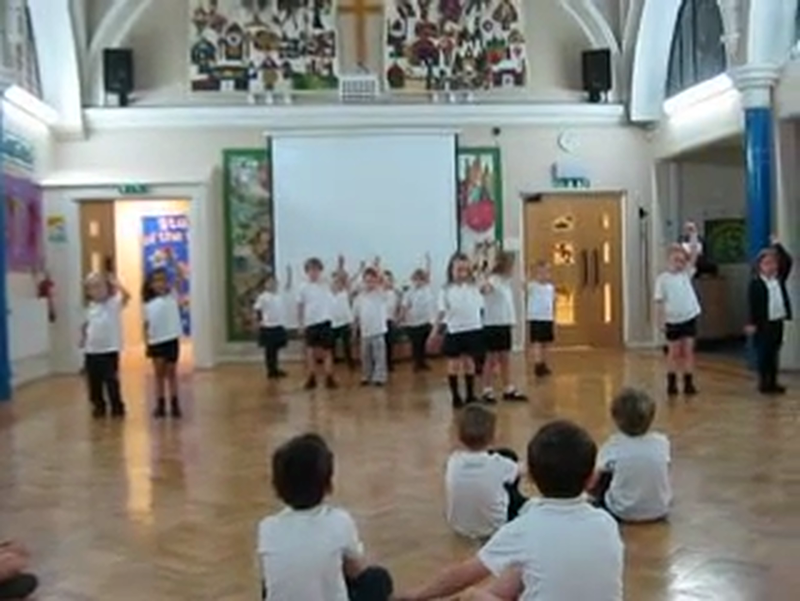 Last half term we enjoyed African drumming. 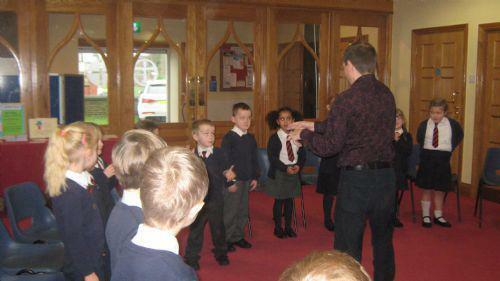 Ask your child to teach you the rhythms they learned! 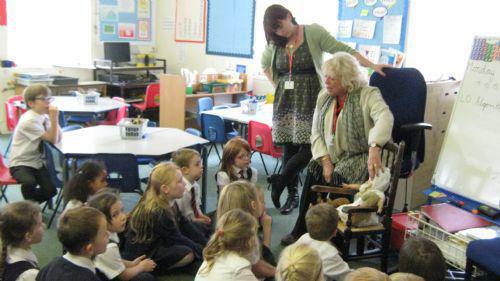 Thank you to Noah's Granny for coming into school today to share her old toys. 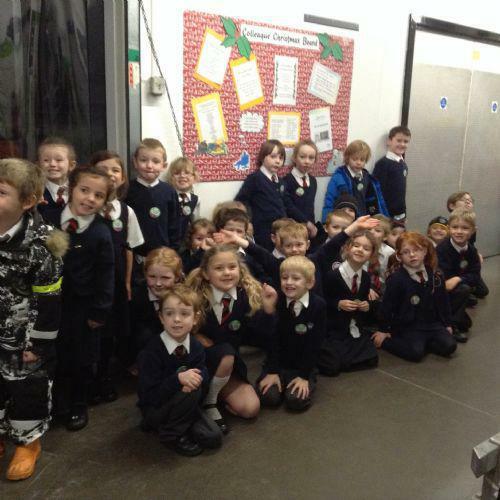 All our children enjoyed a trip to Asda this morning as part of our work on the local area. We were a little bit late arriving as we found so much to look at on our way. We enjoyed being shown around Asda by Mrs Dixon and learning a bit more about what it is like to work there. 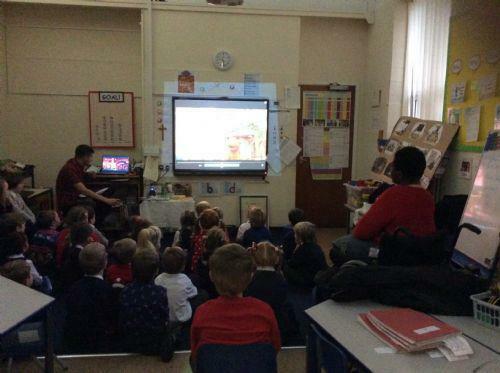 The children enjoyed a visit from CBeebies this morning. They all gave their programme 'Furchester' a big thumbs up!!! Have you seen the big hairy gorilla? Year 1 investigated the strange sighting of a big hairy gorilla at the bus stop! 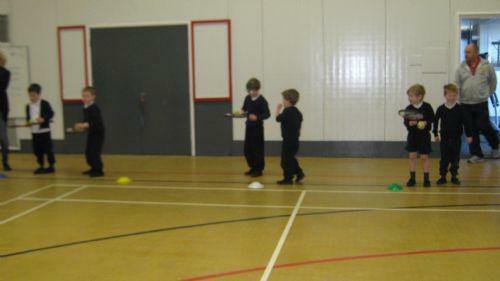 Year 1 had a fabulous time at their Multi-sports afternoon, at Christ the King. 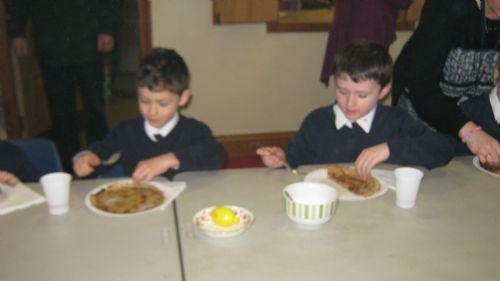 We enjoyed delicious pancakes today, at the Church. They were the best pancakes that we have ever tasted! 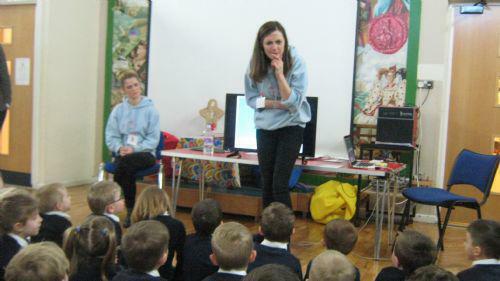 This morning we enjoyed an E-Safety workshop. 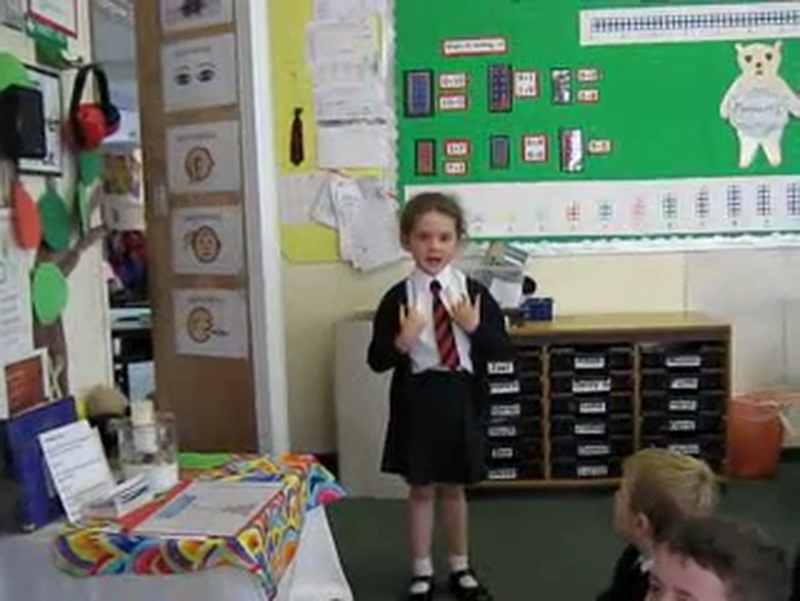 It helped us to understand the importance of staying safe on the internet and ways to do this! Yesterday, we started celebrating books early with a trip to Broadhursts bookshop and Atkinson museum. 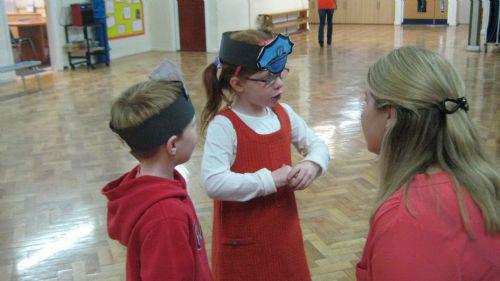 We all chose our own 'World Book Day' book and listened to a fabulous story. 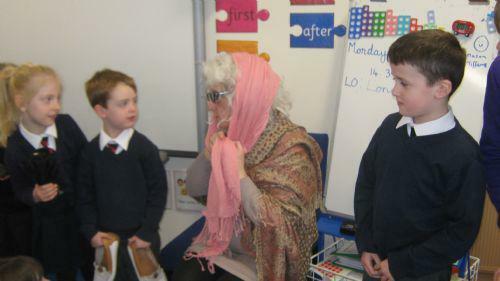 A visit from Grandma from the story 'Katie in London'. 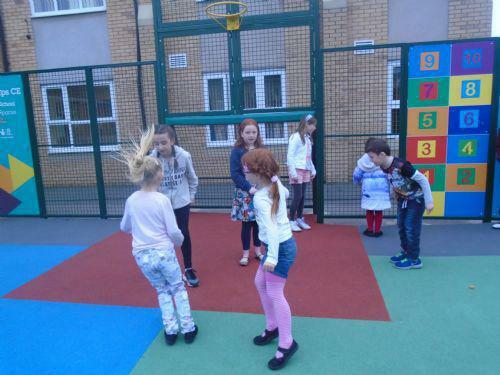 Sport relief - Speed Bounce Challenge. Well done to Lena who managed the most bounces in a minute! How many different types of bread did we find? 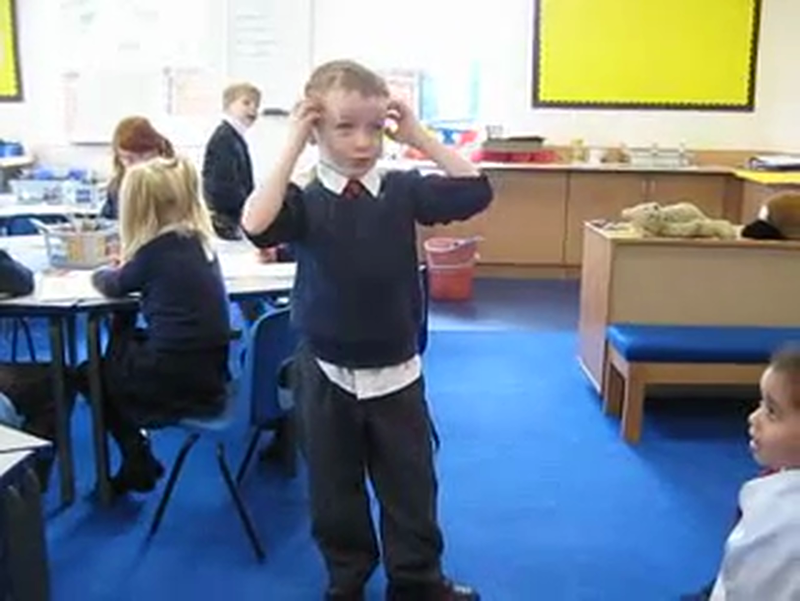 Phonics Play Lots of fun games to practise your phonics skills!